Vivian Imerman's baptism as CEO of the Scotch group Whyte and Mackay has been far from easy. A series of high profile casualties at the top of the company have been followed by news of further redundancies. Bernard Thompson takes stock of the company's position and looks at the options open to the new management. "You can't bank popularity, you can only bank cashflow," Vivian Imerman was once quoted as saying. But if being willing to forego the former has been part and parcel of business for the chairman and CEO of Whyte and Mackay, achieving the latter is by no means a simple task. The past few months have been torrid for the spirits company, which had been known as Kyndal since a management buy-out in October 2001. Poor results, announcements of redundancies, fears regarding pensions, restructuring, shares movement, and no small amount of sniping have all kept the company in the business pages of late, but Imerman is, at least on the face of it, up for the challenges that lie ahead. Since the 2001 buy-out, he has taken an increasingly prominent role and has certainly been unflinching when it comes to making decisions that others would find unpleasant. An industry observer believes that the weak performance of the company took Imerman somewhat by surprise: "I suspect it was looked on very much as a financial deal and the figures looked all right. But I think the whole business proved to be less attractive than he may have thought." In June, Kyndal announced operating profit of £20.64m on turnover of £157.2m but the company paid net interest of £20m. Amortisation of 86% of the cost of securing loans was reflected in £5.36m of interest-related charges. "The results they published weren't disastrous but the problem with private companies is that they can disguise a lot more than others so we don't really know whether they were good, bad or indifferent. "And you have to also assume that he wasn't too impressed with the management." That disappointment can best be illustrated by the fact that the former Kyndal chief executive, operations director, human resources director and head of logistics, have all been removed from the company with the sales director set to be given a "part-time role" from September. Coming in will be the key appointments of a new commercial director from the fast-moving consumer goods sector and what Imerman describes as a "top marketeer to help move the [Whyte & Mackay] brand up the chain". 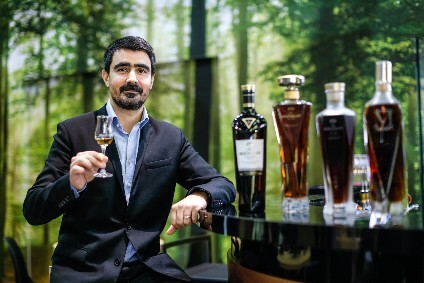 The personnel changes should also help to break associations with the recent unhappy past, something that will be cemented by adopting the name of the company's best-known branded whisky. But even that simple move might not be without its potential pitfalls. According to the blurb, the Kyndal name reflected "the positioning of the company - our values, personality and our company and customer relationships". Cynics might have said that the name - meaningless to most onlookers - more accurately reflected bemusement (the word was developed from the old Norse form of "kindle"). 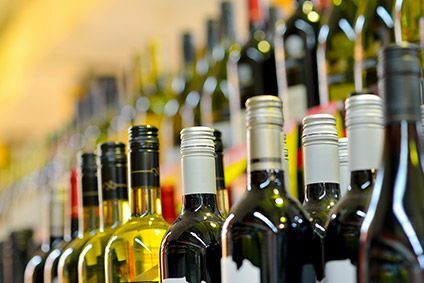 "It is appropriate we are naming the company after our founders, Whyte and Mackay, two Scottish businessmen who were highly focused on quality and customer needs," Imerman said recently. However, an analyst was recently quoted in a Scottish Sunday newspaper as saying that a degree of uncertainty surrounded the Whyte & Mackay brand itself: "I think one of the main problems is that consumers haven't quite known where the brand sits. It has been sold as a premium blended whisky but it has also been discounted, so historically consumers have been confused." The expert who spoke to us shared this view. He preferred not to be named but said: "Whyte & Mackay is undoubtedly the company's best known whisky brand and it's an extremely drinkable, good quality whisky. So I think the name, Whyte & Mackay, is as good as any." As for the recently announced £20m restructuring, this is to involve creating a new bespoke bottling factory and will see the closure of either the Grangemouth or Leith sites with the loss of 200 jobs. The observer who spoke to us saw the sense of the move but was not wholly uncritical of the recent changes: "As far as I know both sites are capable of handling the whole amount so that will reduce costs, which were high, and therefore help profits. "On the other hand, I think that he should have said which plant was going to go because morale is affected. "And I suspect that some of the middle people that have gone are quite good and that he can ill afford to lose some of their expertise." On the marketing front, £50m is to go on promoting the major brands of Whyte & Mackay, Vladivar vodka, the Isle of Jura and The Dalmore malts along with own-label spirits. 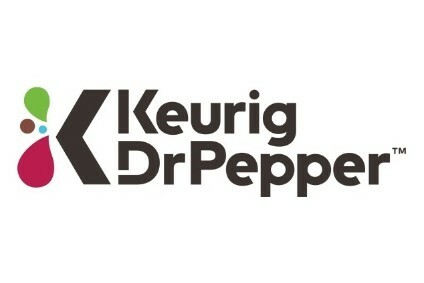 And the company is focussing a great deal of attention on brand extensions. Whether the strategy will result in increased volume sales is another matter. At present, Whyte & Mackay sells 400,000 cases per year, compared to the 1m cases sold by the major brands of Diageo, Allied Domecq and Highland Distillers. "I think the jury is probably still out," said the observer, "One way of increasing sales is to cut the price but that's probably a short-term solution and all that happens is that someone else eventually cuts their price and the people who have bought Whyte & Mackay go over to the other one." 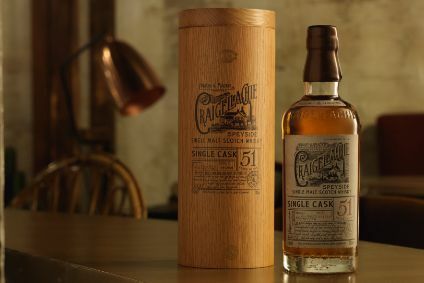 "I think he has to have it positioned as a reasonably high priced - not necessarily the top of the range - whisky, stick to that and promote it cleverly. "But it will not be easy because the Bell's, the Teachers, the Grouses are all around and they're not just going to sit back and do nothing." Of course, doing nothing is not an option that Imerman is contemplating, either, and that could be ominous for yet more people working beneath him.